Every Senior and his/her parents want to know, “Which college is going to accept me and which college is going to deny me?”–for although, the Senior and their parents, say out loud that college is about getting a good job, moving away from home etc, a college acceptance or denial also can feel–internally–like a validation of years of effort and a confirmation of one’s personal worth. So, as early admissions acceptances and denials start arriving in emails (no longer packaged hope in a big envelope or dashed dreams in a small envelope) from colleges, the comparisons begin. First, in quiet whispers at the back of AP English, then in school hallways, then in text messages to parents, then in front of the computer screen scouring college admissions websites, every high school Senior and their parents become engaged in “College Admissions Speculation.” Often, the conclusions from these comparisons can create a visceral, emotional reaction, that can prejudice decision making and reasonable judgements, as the elements underlying the comparison, like GPA–where possible grade inflation can distort the value of any grade or SAT/ACT scores can be influenced by test preparation and sheer repetition–are not seen in their complexity. Senior A is denied admissions to College A, after applying under early deadlines. Senior B, who also is applying for the Regular Decision deadline at College A, starts to compare herself/himself to Senior A. If Senior A is deemed somehow smarter (usually based on reputation, GPA and test scores–see above), therefore more competitive for admissions, Senior B begins wondering if s/he should actually apply, because if Senior A can’t get in, why would I? Also, depending on the selectivity–determined by the admit rates, average SAT/ACT scores, average GPA in previous years–of College A, the comparison can be further misjudged, as admissions statistics are dependent on the same complexities as discussed above. (The comparison also works in reverse, if Senior A was admitted.) Senior B and his/her parents then start researching obscure websites, and Google references, consulting charts that the high school completes (only when seniors self-report) of where recent graduates were accepted and/or denied, trying to size up Senior B’s chances of acceptance or denial–which can simultaneously be fueled with emotion and enflame stress. Then, Senior B’s list of colleges for application expands or contracts depending on the outcome of their research and comparisons. What these comparisons overlook is the subjectivity inherent in the college admissions process. Because, although everyone wants to believe in the meritocracy of college admissions, parents and students cannot ignore the anomaly kid, the one they actually know, who was accepted to a college, that NO ONE PREDICTED, and, in comparison with other applicants from the same high school, who were denied admissions to the same college, seems less competitive of a candidate. Every college applicant must meet a minimum of criteria (i.e. certain classes completed in high school, participation in extracurricular activities and taking SAT or ACT’s), then after that standard is met, the judging begins. How much did the applicant exceed those minimum standards and what does that excess mean in terms of their worthiness of acceptance or denial? What insights to the human being who’s applying to the college are revealed in the college essays that give context to the GPA, test scores and lists of extracurricular activities? How many students are in the applicant pool for next fall’s entering class are similar to said applicant and how does the college distinguish two similarly qualified, at least on paper, applicants to admit or deny? What other institutional needs (i.e. crafting an educational experience that accounts for the variety in geography and social histories of modern American (and global) society, as well as includes a balance of majors so engineers don’t outnumber philosophers etc) are driving college admissions decisions? In the absence of greater transparency regarding the value colleges place on each criteria used to select candidates from the overall applicant pool, parents and students are left to speculate in order to satisfy their need for an explanation for an admission decision. Depending on the level of satisfaction needed, parents and students can continue to experience the emotional stress (and grief) of a college admissions decision, this in addition to the pressure inherent in just completing applications. This first round of admissions decisions (as there will be another in March/April next spring) can amplify the speculation and stress resulting from the comparisons, as Seniors can still apply to more colleges with deadlines in January and February. (By spring, many colleges have closed their application cycle for Fall 2013, which reduces the need to search for more colleges and continue applying; thus, reducing the stress, to a degree.) Gaining perspective around the speculation can help ease stress. 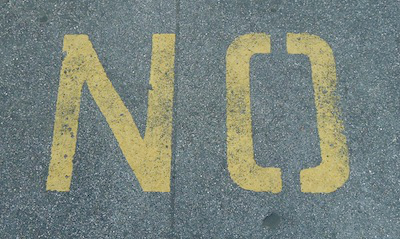 For many college applicants, an admissions denial is one of the first times (if not the first) that s/he is experiencing rejection or falling short of expectation–especially for the student, who’s smart and “school has come easy”–and no one, no matter their age or number of times being told, “No,” likes being rejected. But, while difficult, a denial ultimately teaches us acceptance. Also, view college as a single 4 year period within a lifetime of experience, which while influential, isn’t THE demarcation between success and failure, either in the future or of one’s high school experience. Lastly, from reports, anywhere from 50-66% of all students who start college DON’T graduate, so the college admissions decisions this fall and next spring only indicate who’s going to start the next race, not who’s going to actually finish. Previous Transfer Admissions from a California Community College: Bargain or Cost?